This Phantom custom kinda started from my friend lending me a few Phantom comics by Dynamite a while back – rekindling my interest in "The Ghost Who Walks". I've always liked the character, the idea of a centuries old lineage of men, all dawning the Phantom's costume, and of course, any character that belts on a couple .45's is cool in my book. 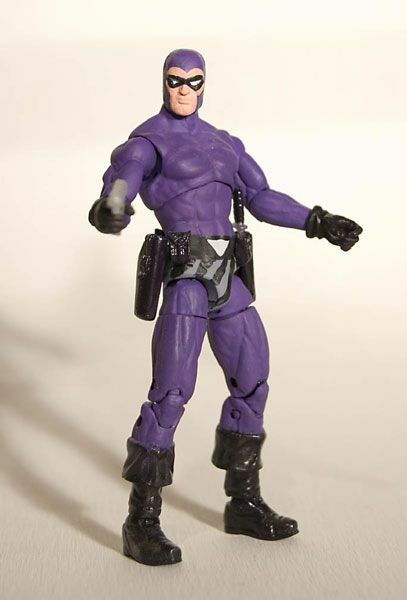 But, even when the most recent movie came out in '96, there still weren't any good Phantom figures out there – so I decided to make my own. The base I used is a "Captain America" from the recent movie line. I had to do some basic smoothing of some of his costume in areas, but really this is a paint job more than anything. Good figure, good scale and came with all the right accessories. 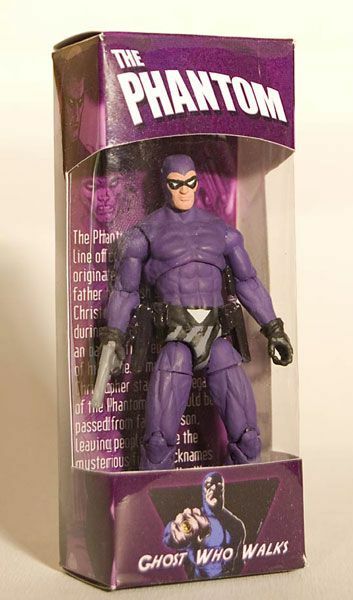 Just looking at him in the store I could tell it wasn't too far of a stretch to turn him into a Phantom. And to protect him from the elements ("elements" being the sawdust in my work shop) I made a box with some character information and art. 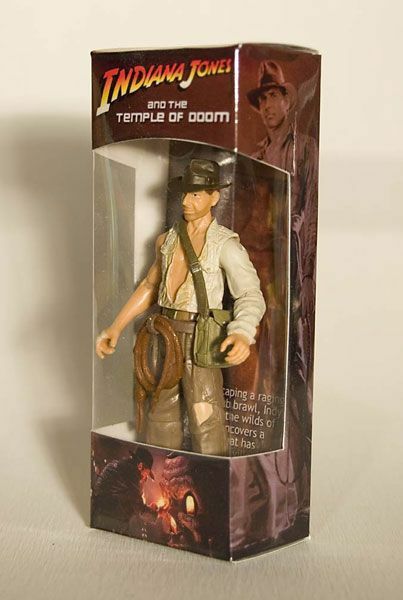 Nate also sent along a pic of some custom packaging he whipped up for a Hasbro Indian Jones figure. Very cool!